Math, not everyone's favorite subject. In fact many fear math more than any other subject in school, however! However you cannot argue with the fact that math is logical. Math does not depend on your personal point of view, on your mood or your attitude. Math is fact and when you are wrong you simply cannot argue about it. (Well, you can but you will still be wrong and it can be proven). At IKI Krav Maga we take the math approach to providing solutions. They must work and they must make sense. And, like math, they cannot discriminate, they must make equal sense for everyone, at all times. But how can we prove it? How can we prove which methods are the most effective? Unlike math there is no simple formula and there are so many different variables, however we do use the mathematical concept of LCD, Lowest Common Denominator. In Math everything is reduced to the simplest possible terms, instead of 84/168 we simply use 1/2, much simpler. Instead of 252/168 we use 1.5, much more user friendly. At IKI we reduce the techniques to their simplest components and work from there. A few simple concepts apply to a vast variety of situations. But we use LCD in another way as well. We test our techniques by using the weakest, smallest person we can find. I just saw a video where some big guy was "defending" against his students who were choking him. The method he used worked great, for him, against his students who were not really making any major attempt to grip and crush his throat. But we know what would happen if it were a big strong muscular guy grabbing the throat of a petite woman - Not A Chance! Tried and tested, does not pass the test. On Facebook I constantly see photos of instructors grabbing the attackers' arm, my goodness!! How could they? The grab does not work, it defies logic, maybe if you are Arnold Schwarzenegger, but even then it will work only on film. At our seminars and class we show over and over again why the grab does not work under real life conditions. But yet....it is still being taught. Something is going wrong over here. Anything, anything at all, can look good on video. Just watch the movies, it all looks great but it is is Fake, Fake, Fake. Sadly, looking good is no indication whatsoever that a technique is effective or at all useful. The public is being deceived, buyer beware. The source of the problem is a lack of honesty. Too much goes untested. 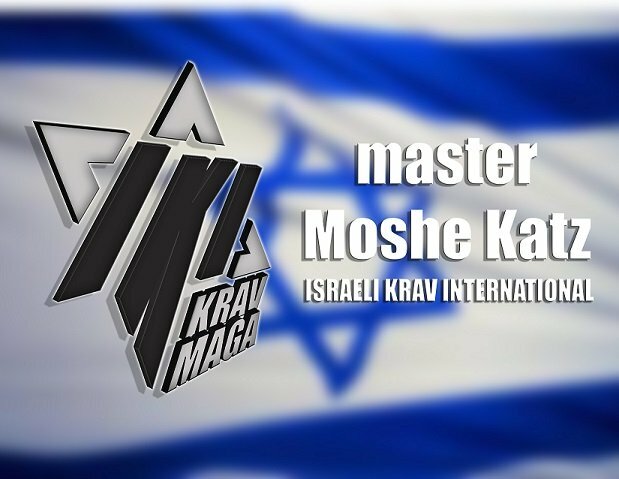 Our techniques are constantly being tested and reevaluated, therefore our Krav On Line program is essential for all our instructors and students to stay up to date. Whatever we are doing in Israel, they can practice at home, and then ask questions. Often these questions lead to new discoveries and improvements. While big numbers look impressive they are not easy to work with. Lowest common denominator helps us reach effective solutions that are valid for all. It must be user-friendly for all types of people under real-life conditions. As we say in Israel, ata chai be seret, you are living in the movies. Lets get real.